When my niece, Amber, was about three years old, she told me of the dream she had. 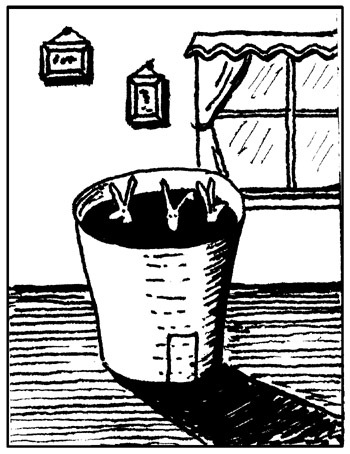 “I dreamed about little bunnies in Kool-aid who can only get out at the bottom.” Of course, I thought it was hilarious. As a matter of fact, at that age, just about anything she said was hilarious! So I visually commemorated her dream.